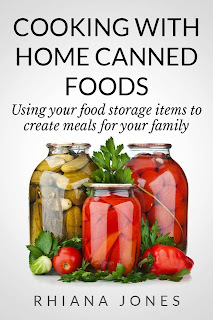 Written by Rhiana Jones; Cooking with Home Canned Foods features about 30 recipes which are categorized into ten different easy to read chapters. This e-cookbook severs up more than a plate full of yummy cooking inspiration especially to those looking for interesting ways to use up those canned foods in your pantry. 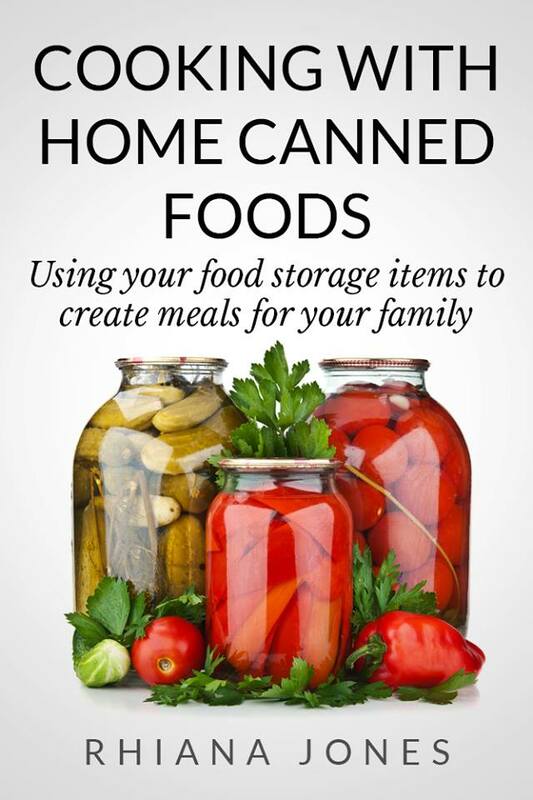 The recipes in this book work with foods you've canned yourself just as well as with canned foods from the grocery store. This book has something for everyone; from Soups to Cobbler, all of these recipes are made with easy to find, inexpensive ingredients you probably already have on hand. Before I actually read the book I thought it was a book about canning and using what you canned judging from the title and cover photo only but to my surprise it's not ( I guess that's why they say never judge a book by it's cover). If you're looking for a book about canning, this is not the book for you but if you're looking for a book with recipes for using foods you've canned then this is the book for you. Personally I think there are some really great recipes here; I'm still working through the book and trying out all the recipes but so far the Black Bean Quesadillas and Slow Cooker Chicken Taco Soup are my two favorites for now. I'm looking forward to trying them all.